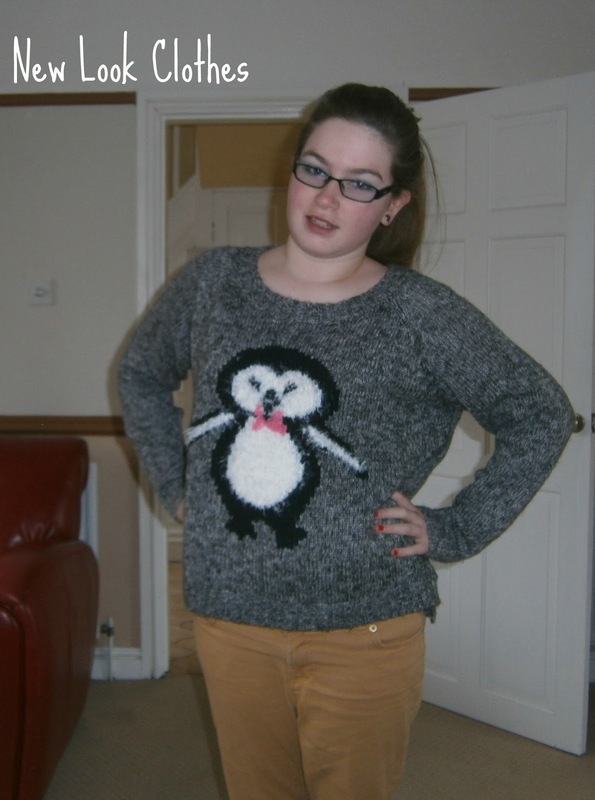 Ok so I did wear alot of New Look lol! 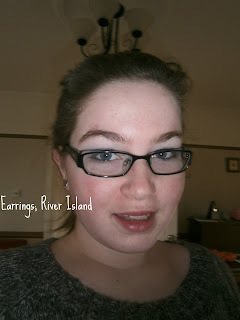 So I wore my studded earrings with all of my hair taken back for a more casual look. 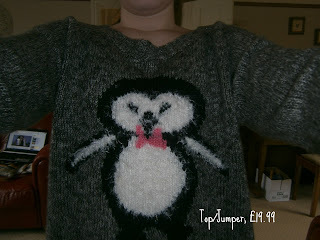 So this penguin top is amazing for this time of the year as it is so warm and fluffy! So I thought I would just wear my beigey chinos because they go with everything!!! 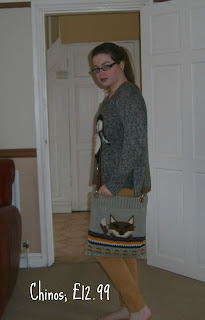 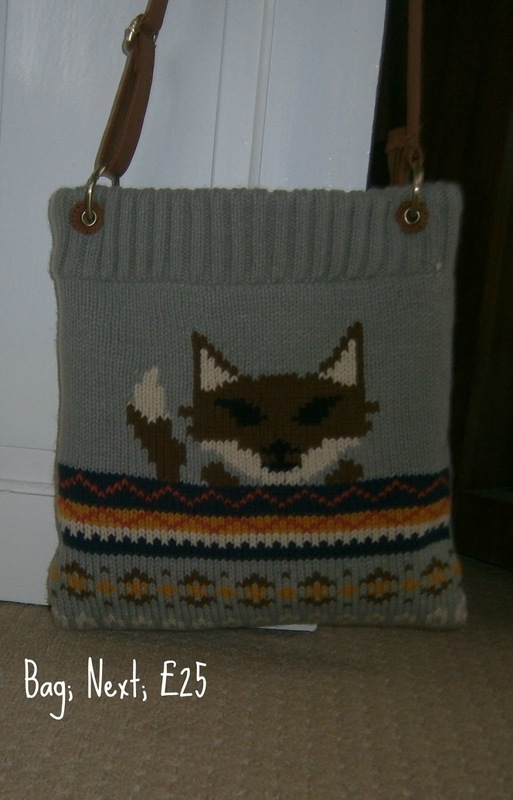 So for my birthday I had this bag and OMG I love it so much it is a knitted bag with a leather strap. I really love this as it fits loads of things in it.